AMTS is a tool that embraces the usage of Advanced Mobile technology to enhance security operations to the maximum potential in providing unblemished evidence that can be relied upon at any level of investigation or prosecution. Advanced Mobile technology Systems are linked to ANPR Data Centre that stores all ANPR data feed from the various security operations networks. The ANPR Data Centre could store more than 50 million number plates and human images that can be used by the relevant authority for enforcement purposes. Thus, it records real time, date and place of any vehicle or images sighted at any particular time and stored for future references. ANPR is the use of cameras to detect, identify and record vehicles/images motion within an area. The use of ANPR is no longer restricted to the Police – in fact, many car parks and other restricted zones are now using ANPR technology to protect and monitor life and properties. Its provides a complete situational overview that delivers crystal-clear images of number plates in all conditions and it is ideal for strategic data collection along roadways, bridges, tunnels, key road junctions, entrances to buildings, events or other critical infrastructure. The camera can read license plates day and night, under any kind of weather conditions on vehicles travelling up to 130mph. • Provides evidential material to support prosecution. The success of ANPR in detecting vehicles of interest to police has led to a new kind of crime – car cloning. Criminals target vehicles of the same make and model to copy these number plates so that ANPR systems will record a read on the make and model relating to a fake licence plate. Any legal transgressions could then lead to the legitimate owner receiving notification of enforcement action instead of the criminal. There is very little monitoring of license plate recognition, particularly websites offering “vanity plates” (plates that are usable only in off-road circumstances, such as car shows) and this gives criminals avenues to attempt to evade detection, however ANPR will often show that there are multiple vehicles using the same registration number and prove that the genuine owner is innocent as well as providing images to identify the culprits. Hence, HET system is designed to prevent or detect such occurrences. DETECT: The ANPR camera detects movement of a vehicle and reads the number plate using ANPR technology. IDENTIFY: Number plate data is received by the ANPR recognition engine which identifies the vehicle and run through database to see if any offence has been recorded against the vehicle or driver. RECORD: ANPR systems record for a set time after the vehicle is detected, recording in full colour, all activities of the occupants. We are proud at HET of our ability to provide unique and creative Advanced Mobile Technology Systems for all spheres of security operations. Each of our systems is individually designed to suite the specific needs of our customers, this includes site analysis, how many cameras are needed and what quality of recording is required. HETs deplorable Advanced Mobile systems are ideal as temporary security systems for major public events, offering a solution for public safety, traffic management and information gathering. This system is meant to provide short-term surveillance at major demonstrations, rallies / festivals and Traffic Congestion. The systems also provide remote access to live and recorded images which can be viewed in an existing or temporary control room, while remote operatives can also have access to the video streams via mobile devices (iPad, iPhone and laptop). SECURE OFFSITE STORAGE & RETRIEVAL SERVICE: The software, which is pre-loaded onto the DVR, secures the clients data offsite and allows instant retrieval of video footage from any location via the internet. The software’s unique heartbeat monitoring service notifies the user of any local DVR failure. With the Advanced Mobile systems data encryption, backed up at offsite, thieves are denied access to incriminating evidence. At HET Company, all our systems are connected to a diagnostic server. This is an advantage for HET Systems which allows the team to see if our customer is experiencing any difficulties such as system failure, camera faults or memory availability. ANALYTICAL TOOLS: HET Analytical Systems software uses brand new technology to provide highly accurate ways of detecting people, vehicles or objects; People counting; Perimeter intrusion; Vehicle monitoring; Abandoned or unattended objects (e.g. bags);Loitering detection; Illegal parking and Anti-social behavior; Terrorism or Vandalism or Malpractices and Traffic Control or Congestion. Using video output and HET Analytical Software, the system can detect movements, loitering and a wider range of custom classification functions. Bear in mind that the new tools automates many laborious tasks that provides for an overwhelming savings. Access Control systems are designed to permit the free flow of authorised movement into any business or public gathering (either Government establishments or private or residential estates) whilst declining entry to unwanted visitors and staff. Hawkeye Tech offers a wider range of Access Control systems including swipe cards or pin codes, and proximity readers. Access control systems can be integrated into other systems in your organisation, such as time and attendance record which will activate when a door is opened to provide usual proof of who is entering the building or road. Access Control systems can do more than simply allow authorised movements of people to premises. Sensitive areas such as Government parastertals and centers may need special protection. Remote viewing is available providing easy access to your footage 24/7. You can view via a web browser or through a specially designed smart phone application available for android and iPhone/ iPad. HET Body systems is a High Definition (HD) Body systems that captures video, audio and still images on the move, and boasts a wide-range of best-in-class functionality. The device provides an HD playback (up to 1080p) at 25 frames per second, with all footage date, time and GPS location stamped to ensure evidential usage. It has an illuminated 2.8” front-facing display screen – proven to assist with conflict management – and its unique pre-recording mode ensures full coverage of any incidents at any point in time. The device features has a touch-screen control, and an LED lamp providing 13ft illumination. It is lightweight product with durable housing to protect from dust and water damage. It can also operate in temperatures from 5°F to +122F°C. Footage is recorded locally to a removable micro SD card (up to 128GB) providing 17 hours of recording capacity at 1080p/25fps. Playback is facilitated through HET secure software (256 bit encryption). The device has a rechargeable battery that provides an operating time of up to 16 hours in standby mode, or 8 -12 hours in full recording mode. Automatic Number Plate Recognition is the use of cameras to detect, identify and record vehicles/images motion within an area. The use of ANPR is no longer restricted to the Police – in fact, many car parks and other restricted zones are now using ANPR technology. The success of ANPR in detecting vehicles of interest to police has led to a new kind of crime – car cloning. Any legal transgressions could then lead to the legitimate owner receiving notification of enforcement action instead of the criminal. Each of our systems is individually designed to suite the specific needs of our customers, this includes site analysis, how many cameras are needed and what quality of recording is required. We provide Advanced Mobile Technology Systems for all spheres of security operations. Access Control systems are designed to permit the free flow of authorised movement into any business or public gathering whilst declining entry to unwanted visitors and staff. 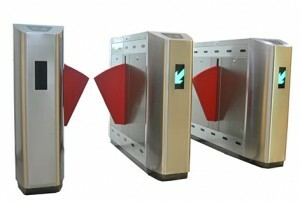 Hawk Eye Tech offers a wider range of Access Control systems including swipe cards or pin codes, and proximity readers. Are you in need of Remote site security and Public space surveillance? Do you need a perfect security? Have any questions regarding security services provided by Hawk Eye Tech Ltd? We will be happy to help. Please visit our contact page to contact us.